Beautiful destinations abound around the globe, but Madeira is Unique. Madeira inspires many amateur and professional video producers. The following film makers celebrate the beauty of Madeira Island and its amazing people, places and experiences differently, each with their different touch. Colors, positivity, style, music, vibrancy and feelings are at the center of this fabulous island. Let us discover these talented artists together and indulge in their visual storytelling. Their mission on social medias is to be the source of your daily inspiration. These video artists bring us world-class content about Madeira island. They show us the island through their personal lenses. The quantity, quality, creativity and professionalism of their videos is impressive. The team viewed many videos but narrowed down the ones we will share with you to 7. Ocean Retreat finds this video particularly enjoyable video as it depicts the areas of Ponta Delgada and Boaventura on Madeira’s north coast very well. We are so grateful to the authors and thank them for their inspiring videos on the beautiful island of Madeira. We love to share their work on our channels: here and here. Ocean Retreat loves to showcase such a beautiful holiday destination as Madeira. Each of these videos is unique in its own way. This top 7 has indeed left a lasting impression on us and we will enjoy watching them for a long time. We hope that you will enjoy them as well. Whether it is the extraordinary vegetation or the views overlooking the Atlantic Ocean, these seven videos have surpassed our expectations by far. They provide the perfect “teaser” for Madeira Island. Madeira is indeed a jewel in the heart of the Atlantic Ocean with a fascinating history. You should definitely not ignore Madeira as your next travel destination. Whether for a romantic stay or for an active holiday, Madeira has is all. 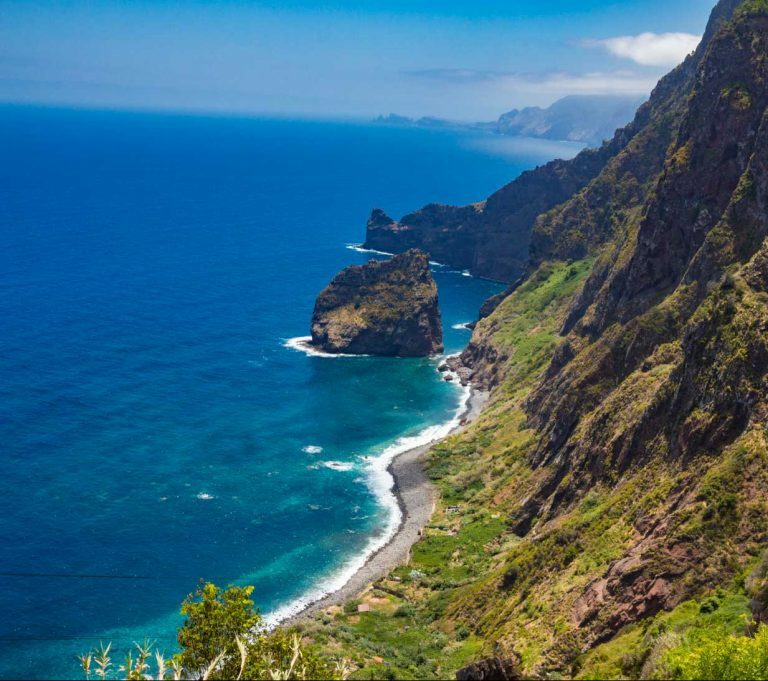 We personally fell in love with Madeira many years ago, its gardens, its wines, its extraordinary foods and most of all the scenery of its North and rough Coast. You can lodge on the gorgeous North Coast or stay in these romantic places. There is much to discover on Madeira. Romance, relaxation, peace and sea mammals are all present on Madeira. If that is what you are looking for, Madeira is the right place for you. Lots of peace and complete privacy can be found on Madeira at MadeiraCasa for example. This video showcases the exceptional New Year’s Eve Fireworks in Funchal. Tropical elegance, gorgeous scenery and romance can also be found on Madeira at Casa do Miradouro. You wake up, take a swim in the infinity pool with a spectacular view of the North Coast, have breakfast on your private terrace / balcony while admiring the green sub-tropical scenery. This is how the perfect day starts at Casa do Miradouro in Ponta Delgada, Madeira.